So says Jeff Nielson (www.bullionbullscanada.com) in edited excerpts from his original article*. [I am surprised at the large number of] investment professionals who confuse risk and volatility… regularly and thoroughly confusing these two concepts to the point where the terms are treated as being virtually synonymous. This has resulted in the flawed investment principle that reducing volatility will (and must) reduce risk. Such thinking is deeply misguided, and following it has dire consequences for investors. As always, logical analysis starts with a definition of terms…[and] while it can be very difficult to quantify risk, defining it is simple. Risk, in the context of investment, is the probability that something you purchased will end up being worth less than what you paid for it when you decide to sell it. Volatility, on the other hand, is a concept that is as easy to recognize in the real world as it is to define. 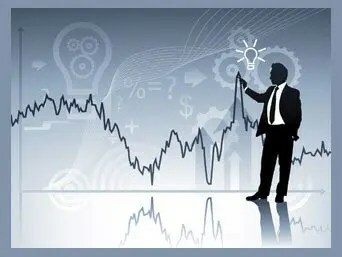 Volatility is a purely mathematical concept that refers exclusively to “deviations from the mean.” If we establish a trend line for the price of any good/investment (often referred to as a “moving average”), volatility refers to the average size of the bounces in price on either side of the trend line. Most importantly, to the long-term investor, volatility is a small factor in assessing risk. The Federal Reserve has a statutory mandate to “protect the dollar” from risk, i.e. avoid a loss in value. In practice, however, the Federal Reserve has never followed that mandate; instead, it has sought to only minimize volatility [and, as a] result, the US dollar has steadily lost 98% of its value in the 98 years of the Fed’s existence,. The Fed has succeeded in minimizing volatility throughout this long plunge in value, however, it has failed utterly in protecting dollar-holders from risk, or economic losses caused by holding dollars. While no one likes the idea of a 98% loss, when spread over the very long-term, this may not seem like much of a risk but, when we note that 75% of this decline has occurred just in the last 40 years,… [we realize just how great it is]. When we further note that this alarming rate of currency-dilution has accelerated significantly just in the last five years, this should be enough to cause all rational dollar-holders to break into a cold sweat. [In spite of that, however,] clueless media drones still point to the dollar as a “safe haven,” basing this suicidal advice entirely on the fact that the dollar represents (relatively) low volatility – while totally ignoring the absolute risk represented by an accelerating, century-long trend toward zero. Living in an era where all of our governments have promised to race each other in driving the value of their currencies to zero, i.e. participate in “competitive devaluation”, we finally see the truth about the world of fixed-income investments – the banker-paper in which they are denominated is plummeting in value at an unprecedented rate, providing guaranteed losses rather than the supposed guaranteed income. It is the perfect illustration of the cliché of “the lobster in the pot.” The lobsters (bond-holders) may be entirely comfortable thanks to the slowly rising temperature of the water; however, they’re still going to end up boiled alive! Indeed, it is widely reported that real interest rates have never been so negative at any time in history [as they are now], i.e. that the gap between what we earn in interest and what we lose in currency-dilution (i.e. inflation) has never been this large at any time in the history of modern markets. Precisely how do the largest guaranteed losses in history on fixed-income investments represent a “safe haven”? This is something that the “experts” conveniently omit in dispensing their foolhardy advice. Readers must realize that there are viable options. Once we correctly define the problem, namely protecting ourselves from risk, we can begin to understand the solution to our problem: looking for investment products and opportunities which minimize risk rather than merely minimizing volatility. The obvious starting point in such a search is to look at bonds vs. bullion. In the case of bonds we have U.S. interest rates currently at almost 0% (i.e. no return) and virtually no hope for price appreciation. On top of that, they are denominated in US dollars, which have already lost 98% of their value – and are losing value even faster every day. Fiat currencies also have their own track record: a 1,000+ year history of always going to zero. We immediately see how utterly irrelevant it is that US Treasuries are a relatively low-volatility asset. There is no less-volatile number than zero! Then there is bullion: a real safe haven. In the case of gold and silver, we have an asset class with a 2,000+ year track record for preserving wealth, combined with a 10+ year up-trend in this recent bull market. That is safety. What more can I say! 2. Which is Riskier? Investing in Gold & Silver or in the Dow 30 Stocks? 5. Which Stocks Trade at a Discount to the “Graham Number”? Previous Where are Gold & Equities in the 3 Phases of Bull & Bear Markets?